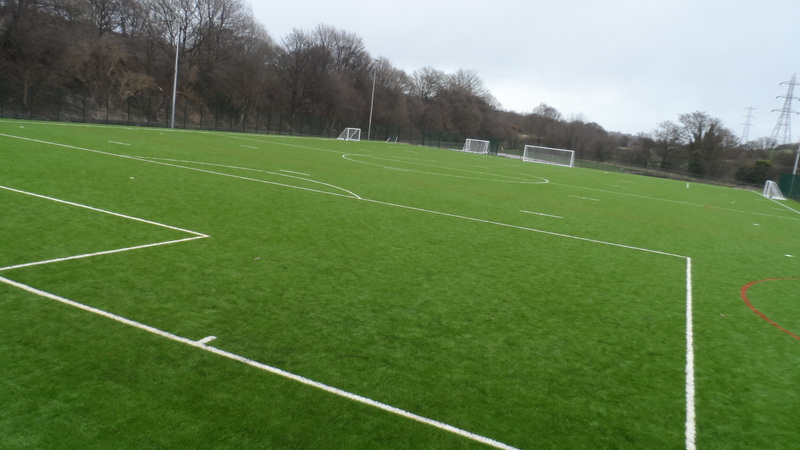 We specialise in a range of rugby pitch services and have carried out a number of projects across the UK at various locations including sports clubs, schools and colleges. The main services we can provide are the installation of surfacing and the maintenance and aftercare of the facility. Be sure to get in touch with our team today if you’d like a price for any of the work we carry out. We are experts in the construction and maintenance of these surfaces do don’t hesitate to ask if you have any questions. Simply fill in the contact form on this page and we’ll get back to you as soon as we can. What is a Synthetic Rugby Pitch? 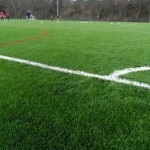 A synthetic rugby pitch will typically be made from a turf carpet which is specially designed for the sport. In most cases this will be a 3G carpet as this is the specification which is closest to natural grass and provides the safest qualities for players. This type of surfacing contains a sand and rubber infill layer to provide the right playability and to help reduce injuries to joints and muscles. When playing a contact sport like rugby this is crucial as players can be badly hurt if they fall onto an unsuitable surface. 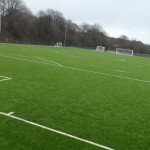 If you are looking to have an artificial rugby field installed, we can tailor a specification to meet your requirements so that you get the best end product which fits your budget. The most suitable type of surfacing for rugby is 3G artificial grass; this is infilled with silica sand and rubber crumb to provide natural playing characteristics and impact absorption. If you are building a facility for a school this is very important as children will be using the area, and their bones need to be protected from damage during training sessions. There is also the possibility to have additional features like rugby pitch fencing added to the facility to make it more efficient. We offer many specifications of fencing including super rebound and chain link which will be fitted around the perimeter of the area to enhance security. The process of installing a synthetic sports field like this usually involves excavating the ground, laying foundations and then fitting the turf carpet. We are able to complete this full process to suit your specifications and ensure you get the ideal facility. The design can be customised to suit various playing requirements so feel free to tell us if you’re looking for something specific. 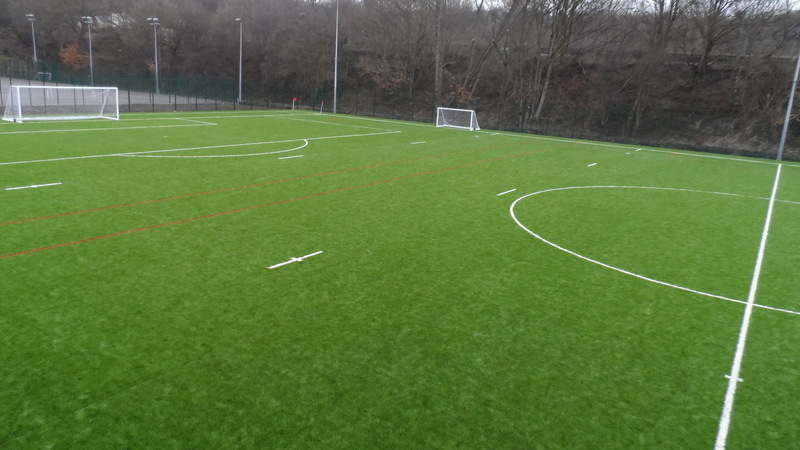 3G synthetic sports grass is also an ideal playing surface for football, so if you’re looking to install a multi use sports facility for both rugby and football this would be highly recommended. When the rugby pitch construction is carried out, shockpads must be installed underneath the grass to give a softer and more impact absorbing landing surface. This is comfortable for players and decreases the risk of injuries due to the contact nature of the sport. Top quality line markings can be applied for different activities to promote accurate game play and clear scoring. We can also supply extra equipment such as floodlights and fencing as part of our services to allow you to make the most of your synthetic sports facility. Be sure to let us know what kind of sports field you are looking to create, and we’ll do our best to create the right design for you. Tell us if you have a specific budget in mind so we can offer a quote which will be affordable for you. 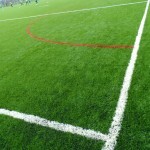 There are a number of cost affecting factors which can’t be controlled when carrying out rugby pitch services, these could include the site location, conditions of the existing area and the level of access. We can therefore help to cut costs for your organisation by making other changes through variables which can be controlled such as the surfacing specification and the additional equipment you choose to have installed. Our aim is to give you a great quality service and an artificial sports facility which can be enjoyed for a long time, whether it is for recreational or professional use. 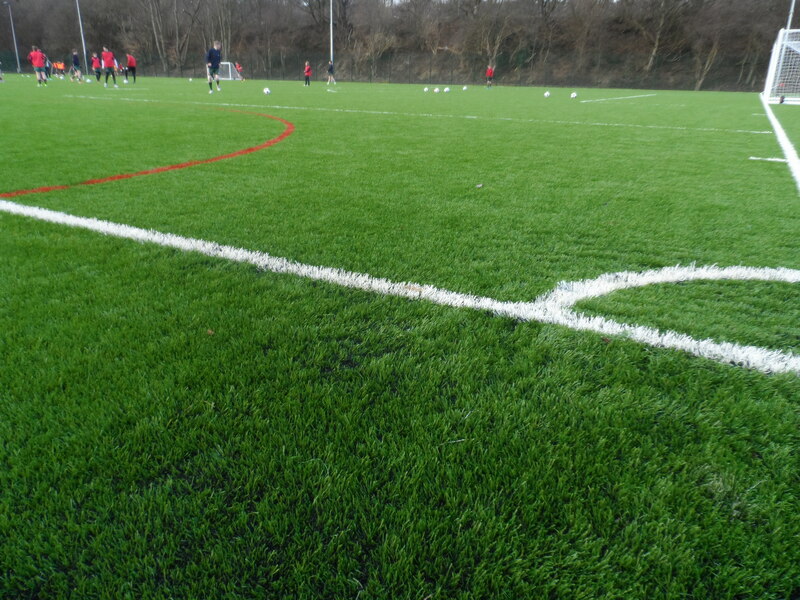 Having a good quality outdoor sports facility is a great investment for your organisation, whether it’s a school, college or club as renting the pitch out in the evenings can help increase your revenue and income. With help from specialist rugby pitch consultants, your dream of having a top quality synthetic rugby facility can become a reality. The video above shows our team installing an artificial 3G rugby surface including full groundworks and laying the artificial turf itself. We carry out projects like this on a regular basis and have worked with many schools and local organisations. Feel free to get in touch if you have a project in mind that you’d like a price for. We’ll gladly offer you some professional advice along with a quote for the work. 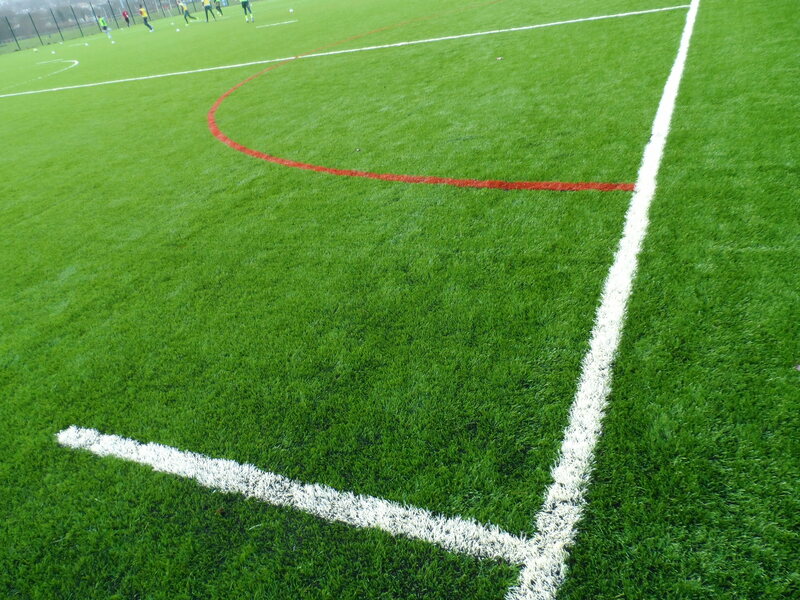 Although the 3G synthetic pitch surfacing is long lasting and durable, you need to keep it well maintained to ensure it stays it good condition for as long as possible to reduce the costs of repairs and resurfacing. We can provide a proactive cleaning and maintenance programme as one of our rugby pitch services; this could include drag brushing, rubber infill top up and chemical treatments to prevent contamination and flooding. If you don’t keep the surface well looked after with an appropriate rugby pitch maintenance plan it can quickly become damaged and worn out, this damage is often expensive to repair and will increase costs for your organisation. We would advise that you carry out regular checks of the surfacing and look for any signs of wear and tear. This will help you to spot any problems and rectify them as soon as possible so they don’t get worse over time. Doing this reduces the overall cost of having the facility as it will be less likely that you’ll need expensive repairs. Please contact us if you need more information on any of these construction or maintenance works and we will get back to you with some professional advice and a quote. Just fill in the enquiry box on this page and tell us what we can do for you so one of our experts can help you out with the rugby pitch services. We’d be happy to provide you with some more information including product sheets and case studies of our previous work. Don’t hesitate to ask a member of our team if you’d like to find out more on everything we do. 1 What is a Synthetic Rugby Pitch?